In the process of installing Windows updates, the computer may seem to hang, freeze, or stop progressing with the updates for no explicable reason. This has been a problem for many years and is an issue that’s never been fixed by Microsoft, despite it being very common, and very simple to resolve. It’s an issue that’s frustrating millions of people. Yet, unfortunately nothing has been done about it. What happens is that one of the updates will have a pop-up dialog box that’s awaiting user input. However, the dialog box is behind the Windows Updates window. 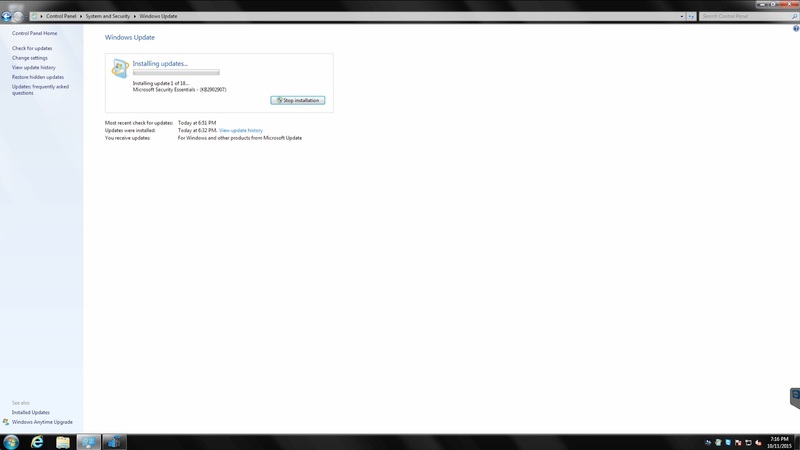 This is because the pop-up is actually configured as a pop-under (behind) so it’s hidden. An example is below. 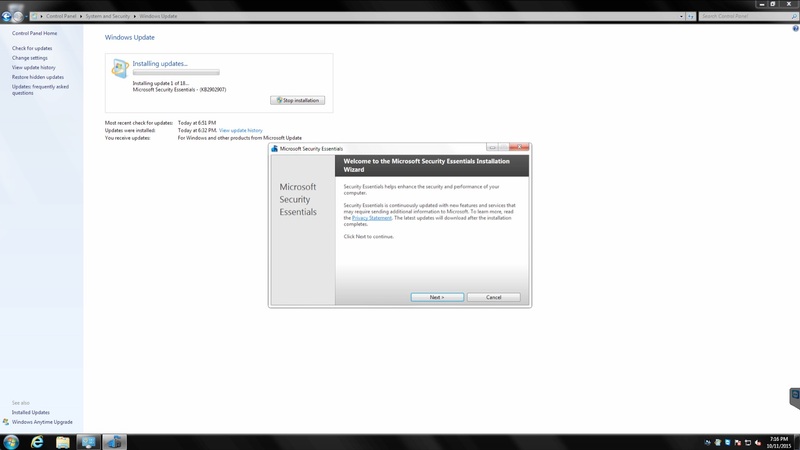 notice that the Windows Security Essentials icon is in the task bar to the right of the Control panel icon. When you click on the Windows Security Essentials icon, then the dialog box is revealed. The before and after are shown in the screen shots below. After clicking on the Windows Security Essentials (fortress icon) in the task bar, the Windows Security Essentials installation dialog box appears as shown below. Previous postTech Q&A: What’s the best computer for a beginner?